BRYAN EATON/Staff photo. 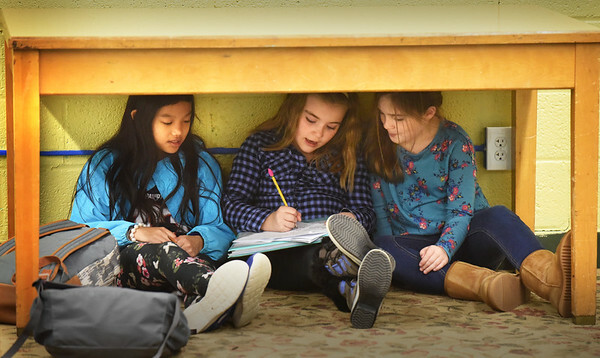 Despite having a well-lit room complete with computers for doing homework, friends, from left, Tristan Vo, 9, Kayden Keating, 8, and Emma Lattime, 9, found space under a table in the boardgame room. They were at the Boys and Girls Club in Salisbury on Monday working on their cursive wrighting.